April marks the end of a cycle and the close to chapter 1 of 2012 energetically speaking. May will start a new cycle for us, so this month will bring an end to the death cycles that so many have been going through these past months. Fragments from the past will finally resolve, physical energy will start to lift, and the hibernation period will draw to a close for most of you. I do not need to repeat that these are intense times we are living in, for we are highly aware of this. But what I do need to repeat, is that the difficult symptoms of your journey will be unquestionably improved by greater focus on your physical and emotional well-being. In the month of April, emotional well-being will revolve around the themes of forgiveness, and remembering that you are spiritually safe in our world, even as and if that sense of safety is challenged. Physical well-being will revolve around how well you choose to treat and love your body, and many of you are still releasing physical ailments or viruses that show you need to slow down and give yourself more space to align with this new 2012 energy. Have you been in a physical or emotional rut for a long while with no change? Can you honestly say you have done everything you can to get out of that rut? Change is always possible, however small, and yet we often find many reasons 'not' to change, due to fear. The trick is, not to judge yourself for experiencing resistance or fear of change, but instead to become aware of and even curious about the resistance. This observation allows a flow to start to emerge, rather than a block. If you feel stuck, focus your intent on creating a shift this month. If you are struggling through very difficult physical or practical circumstances, recognise that your remedy will need to start small, as you are already under stress. So be patient and loving to yourself while you go through what may be oppressive circumstances. You are at the 'bottom of the abyss' – a stage that many of us have been through. If you are in that place, just keep intending for change, and lovingly support yourself, for the abyss, as hellish as it can seem at times, is designed to return you higher and stronger. Accept that your energy is low in the now, but intend that you will bring it back. Then, feed yourself with as much positive energy as you can daily, for energy is contagious. This positive energy comes in many forms. It could be a spiritual book or video, a comedy movie, or simply (but no less powerfully) a daily connection with a loving supportive friend. Be gentle on yourself but also recognise that even when at the bottom of the abyss, there is a will to live (otherwise you would not be reading this). So harness what is there in that will, however small, and let that spark of life begin to grow. This casts your intention, and then the energy you create with these words will support your own divine intelligence in magnetizing and seeing the practical support available to you. If you are more logical in your approach and less intention inclined, create some achievable practical goals; write them down so they become more tangible to you, and steadily begin them. 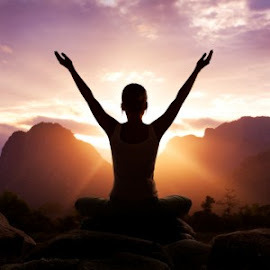 On the physical side, whether it is beginning exercise for just 10 or 20 minutes a day (remember that even just taking a walk will do), starting (or re-igniting) a practise like meditation or yoga which works on body and balance, or improving and changing your diet; the benefits will be felt within days. The reason to make this commitment now is because the energies are unstable at the moment, and moving very quickly between dark and light. So your having some kind of goal or stable practise in your life, will allow you to better transmute the denser, darker feelings when they come, and maintain the higher ones. We are in an energy elevator right now on Earth. We go up a few floors, then down a few. On a human level, it seems as if someone else is calling the elevator, and we are just the passengers, at least this is how it will seem at times. But on the soul level, we elected to take this elevator ride and are co-directing it. The planet and people will change for the better in the coming years, but not without a certain amount of shock and destruction. We are in the period where the dice are being rolled daily on how destructive or shocking it needs to be. Spiritually, the angelics and beings from other realms are daily working to 'lift' the Earth and it's people. It is fast and furious work from a human 'speed' perspective, which is why it can be so turbulent. But know that so many destructive events and energies have already been diverted for us. You will know a shift has just happened on Earth because you will start experiencing higher than ever moments of peace and connected-ness (especially when out in nature), and greater ease and flow in relationships. You will know a struggle is taking place because you will feel a low energy in yourself as you will be in resonance with that struggle. Those of you who strongly feel these surges of low energy when they come, allow them to catalyse you emotionally if you need them to, but don't buy into the feelings as purely your own. We are all going through this together, and remembering that togetherness will help if you feel isolated. Remembering this will also help to dis-empower any negative 'inner voice' you may have which wants to blame or judge you for what you are feeling. Just accept that this is where you are at right now. Doing this will quicker transport you to higher realms of emotion and thought – the higher consciousness. Many of you will be feeling like you are regressing at times. Remember, life just 'is' and we are meant to roll with it, whatever comes along. This regression confuses our societally trained 'achiever' minds and our old linear sense of time, as they are still present in us, albeit at ever decreasing levels. You will also be feeling more connected to the psychic highways. You will be thinking of someone, then they will call you, or you will receive an email from them. Your thoughts are opening more and more to your third eye, so allow yourself to enjoy and notice the synchronicities as they happen. The relationships and communication between us on telepathic levels now grows stronger daily. Send a friend some love in your thoughts, and you can be sure they will feel it. Fears of safety will continue to be activated again this month, and be wary of the 'weighted in the negative' pictures painted by the media, and people around you who are connected to fear that is more dense than your own. Invites to fear, are everywhere, hence the rise in your activations. So be aware of, but not attached to, inner feelings/visions you may have around safety in the coming month. Just observe the thoughts and breathe through the feelings until the body's nervous system becomes calm once more. The darkness is literally experiencing a fight behind the scenes, and it is a fight to the death. Be it a fight within an individual, a government, or a whole planet. It does not matter where it is happening for we are all connected. Imagine a crocodile, thrashing it's prey around in the water. This should give you a sense of the level of violence taking place energetically at these moments. It's a strong energy, and it ripples out into the world. Let yourself remember this image on days where you wonder what on Earth is moving through you. The answer is EARTH is moving through you. And for those sensitives among you who don't like looking at or feeling these types of visuals, I am with you, and I understand. But my using this example was deliberate, for it is time for us to be strong, and not blinkered to what is going on. When fearing death, try to see the difference between the part of you that is a soul, and does not care about physical death, for it is just moving on to a different plane. And the part of you that is human, in a body that is genetically hard wired to fight for life and full of ancestral genetics carrying wounds and fears of survival. This is the bridge. The place where you will find your conflict around safety. You are safe for you are a soul. Breathe out the fear in the human body when it comes. Literally, sit down, gently rub your stomach in a circular motion, and breathe out the anxiety. Do this consciously, and you will start to ease the human trauma in this conflict. Finally this month, Forgiveness will be key to happiness in human relationships. It is the next stage of you creating a new future so invite yourself to forgive those who in the past triggered pain, shame, anger or blame in you. No human that is fully connected to love in themselves creates an unloving action toward another. If you experience these emotions at the hands of another, something in you needed and wanted to in order to balance yourself and to learn. Trust this and again, rub the belly and breathe as you remember any past events. And forgive yourself for any times in the past where you hurt others, let them down, or didn't treat people with as much love or kindness as you would now. The past is gone and this act of forgiveness frees so much energy for you and those you are forgiving, even if you do not get to express this to them at anything other than a soul or telepathic level. Deeper forgiveness allows your heart to open in places where it has shut down, or seized up. Allow yourself to be forgiven. Allow yourself to forgive. We are opening, and it is time to open more. Our world needs us to, and our soul wants us to. Below is a mantra for you to recite to allow this process to occur in a deeper way. Say each sentence slowly, and as you say each sentence, really consider your words, and then it will act as a gentle catalyst for you. I forgive myself, for everything. I forgive everyone, for everything. I forgive my life, for everything. I forgive my fear, for everything. I forgive my judgement, for everything. I forgive those who judged me. I forgive those who feared me. I forgive myself for love not yet given to myself. I am free to be fully me.